GE Fanuc Automation, a unit of GE Industrial, has announced the support by the DSM324i motion controller for six Alpha HVi series servo models for use in general machine automation. The Alpha HVi series servos, flagship servo line for GE Fanuc’s industry leading CNC business, are high voltage models with AC voltage input range of 400-480 VAC and include separately mounted shared power supply modules. 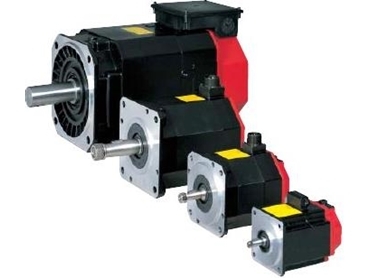 This series significantly extends the motor speed and torque rating that GE Fanuc offers in its general motion product portfolio. Highly effective in high-speed printing and packaging applications, the compact and efficient amplifiers reduce the amount of valuable space needed in the cabinet. The exceptional smoothness, stiffness and precision of the units translate into accuracy in motion, a direct contributor to production yield. The Alpha HVi Series Servos extend the torque range of the Beta i series servos and support higher motor speed ratings. The Alpha HVi series are high voltage models with an AC voltage input range of 400-480 VAC and include separately-mounted shared power supply modules that offer line regeneration capability eliminating the need for external power resistors to dissipate regenerated energy during motor deceleration. “We are extending the capabilities of our line of servos to an even greater level for applications that require higher speed and torque,” Derstine said. The same range of Alpha servos will be supported by the new PACMotion controller.